Wilhelm Adolph Ludwig Wolter (of the River Murray). 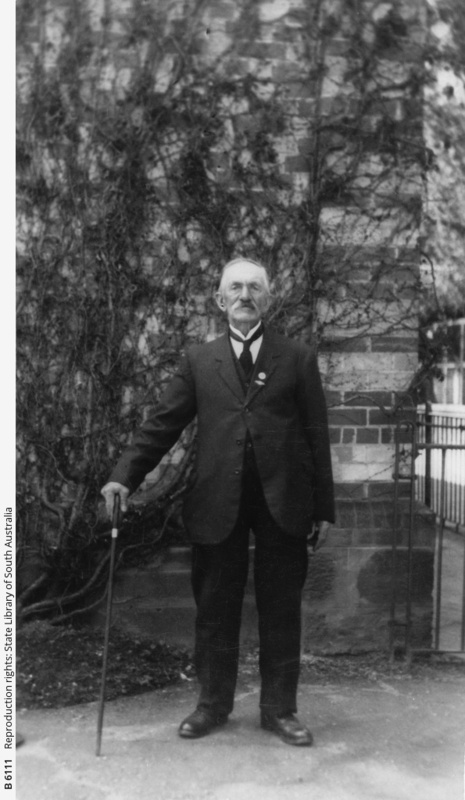 Wilhelm Wolter, Master Mariner, arrived at Port Adelaide aboard the brigantine 'Adolph' from Hamburg in 1863. He died at Victor Harbor in 1933. He was a pioneer on the River Murray Steamers with 53 years experience. He was born at St Pauli, suburb of Hamburg and served in windjammers and vessels on the Indian coast and later sailers in the South Australian trade. He led an adventurous life before landing at Port Adelaide in 1863. On arrival he worked as a mason before venturing to Goolwa to work on Murray Steamers. He became a Captain and owned the steamer 'Pilot'.